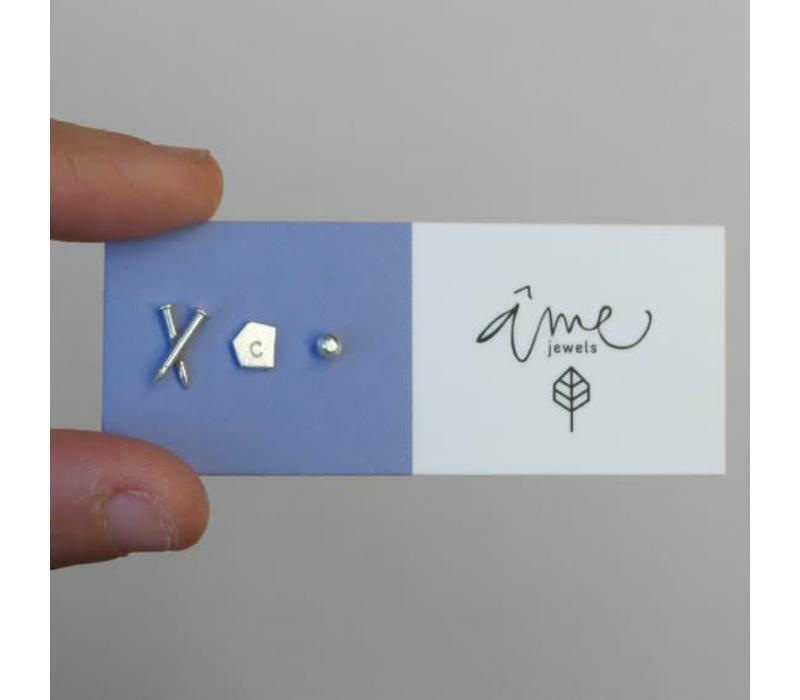 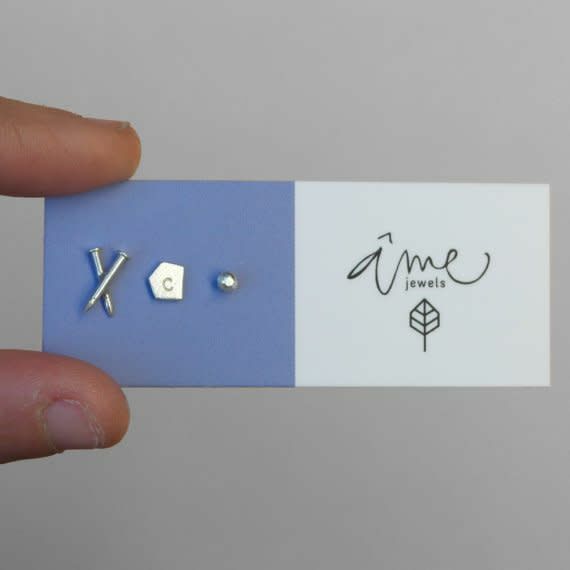 Set of three mini stud earrings. 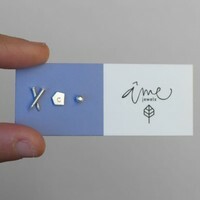 These sterling silver earrings are entirely made by hand: designed, cutted, soldered and finished by me. They are very unique but easy to wear! 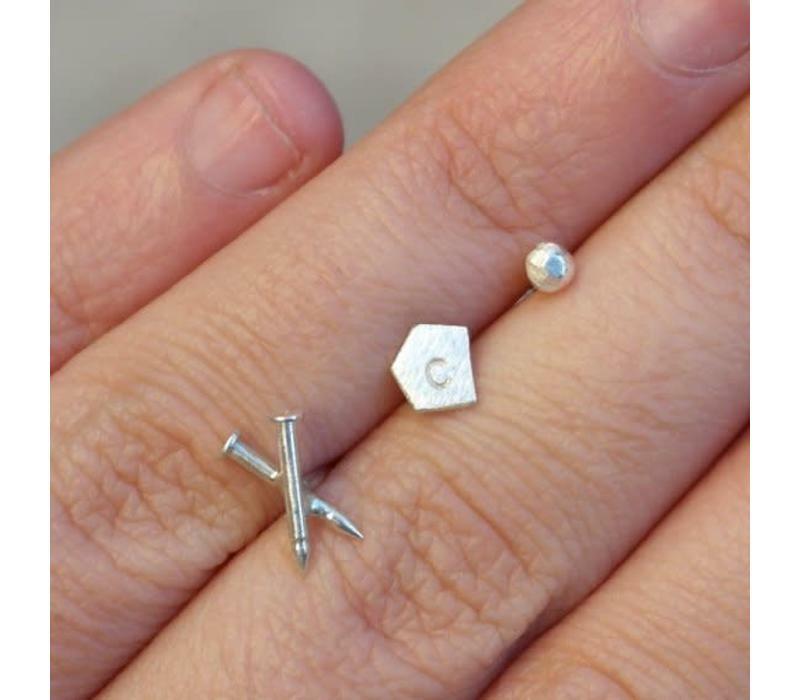 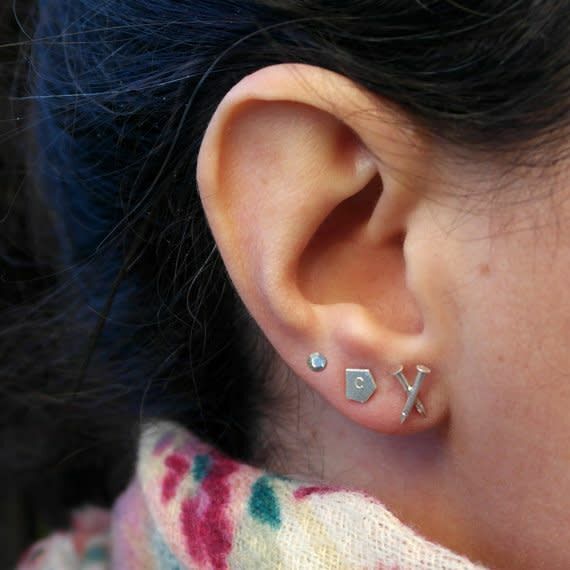 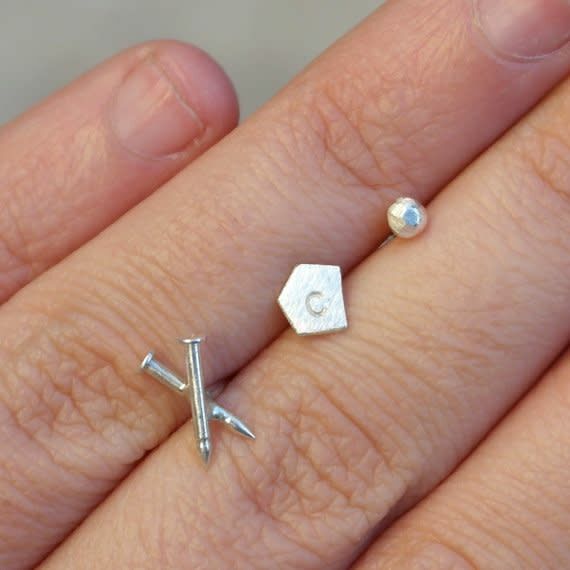 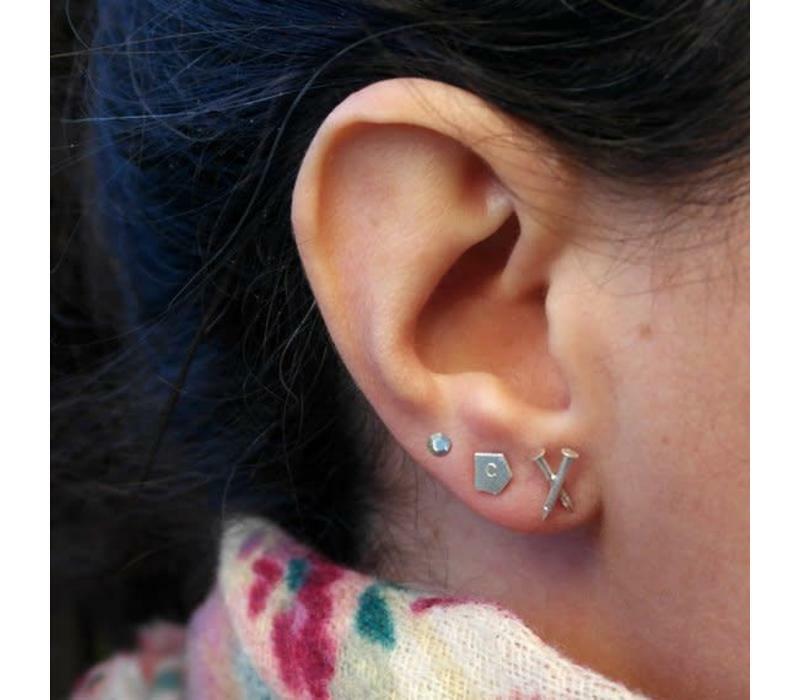 In this set you will have a mini faceted ball, a stud with an initial (that you can choose) and a cross made of two nails.